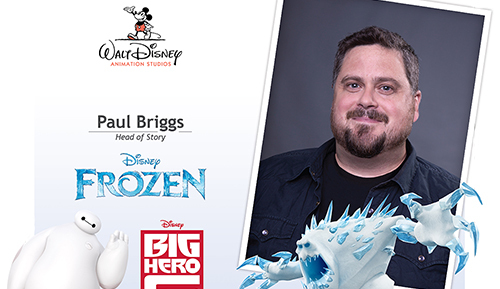 On Friday, August 29, 2014, meet Paul Briggs, Head of Story for Disney Frozen as well as the voice of Marshmallow. Paul’s other recent works include Big Hero 6, Tangledand Mulan. Paul will be on hand to sign Frozen inspired merchandise, etc. from 4 – 5p.m. at Oaken’s Trading Post in Disney’s Hollywood Studios®.